View Restaurant & Lounge – Revolve around NYC! 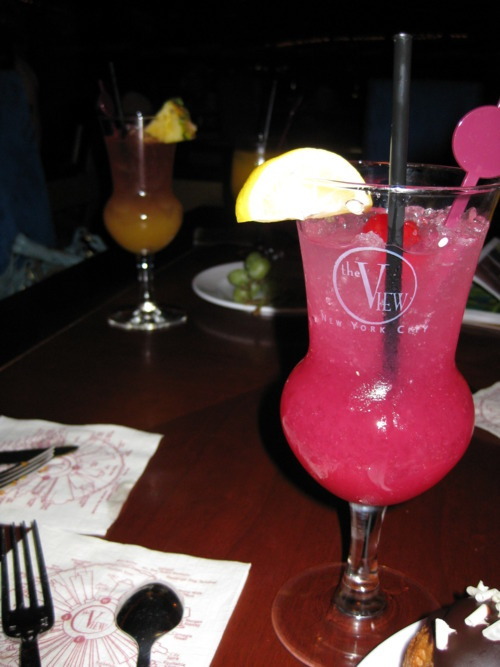 The View Restaurant and Lounge is situated in the New York Marriott Marquis hotel, on the 48th floor. It’s a revolving restaurant and gives you an amazing view of New York City, especially Times Square and the busy Broadway streets. It is the only revolving rooftop restaurant in New York and makes a 360° turn every hour. I even spotted the Empire State Building! So of course all I have to say is that the scenery and environment is just simply amazing! 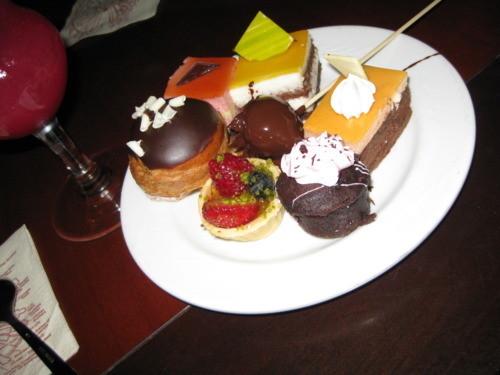 We went for the late night dessert and cheese buffet, and were given a variety of desserts to choose from! All very unique and delicious! YUM!